Bury vs Crawley Town predictions as they meet in League Two this weekend. Will the hosts be able to continue their excellent spell of form with another three points? Read on for our preview of the match and all our free betting tips below. 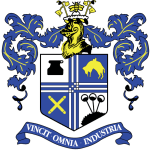 An excellent run of form at the right time of the season can prove to be the making of any side in League Two, and for Bury, they have been almost unstoppable since the turn of the year. 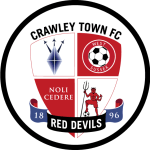 This weekend they have the opportunity to continue their excellent recent form this weekend when they welcome a Crawley Town side who have been less than impressive when on their travels. Bury have dropped just two points in their last five League Two games to put themselves two points above the play-off positions. Should they be able to maintain this form, then a shot at the League Two title is not out of the question and key to this challenge will be maintaining a home record which has seen them claim 34 points from 15 home matches, the best return in the division. However, although they may be free-scoring in front of goal with 12 goals scored in their last five away matches, they have also conceded frequently and four of their last five outings have finished with both teams scoring. Crawley Town brought an end to their three-match losing sequence with a much-needed 1-0 success at Swindon Town last weekend. It was a result which will have come as a welcome relief, as they were starting to look over their shoulder as the danger zone was looming large. Crawley may have been in poor shape on their travels with just three wins from 15 away matches, but they have an excellent record over their hosts this weekend and won the reverse fixture following a five goal thriller. With both sides recording morale boosting wins last time out, we think that they will both go out on the attack and earn the win. The hosts are enjoying their most successful spell in front of goal at the moment and the visitors will be boosted by a head to head record which has seen them defeat Bury in each of their last four meetings. With this in mind, we think that backing the both teams to find the back of the net represents the best opportunity for a decent return. Despite the head to head record, the fact that the hosts have an excellent home record and are in such good form is hard to ignore. When you combine this with the fact that Crawley have been poor on their travels this season, we think that backing both teams to score with a home win is an excellent way to boost the return on offer. Bury have been undefeated in their last six matches. Bury have scored in 93% of their home matches. Bury have been undefeated in their last 10 home matches. Bury have scored two goals or more in each of their last three matches. Bury have scored two goals or more in each of their last seven home matches. 72% of Crawley’s points have been earned at home. Crawley have scored 74% of their goals at home. Crawley have lost 73% of their away matches.